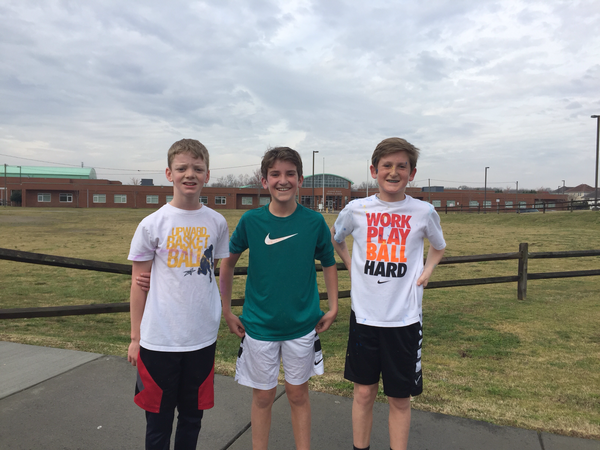 Below are the 2017 middle-school level top finishers of the 5K, held on March 18: Nathan Duncan plus Andrew & Connor Plaisted. Check out the slideshow for more images, which begin at the end - where finishers were bathed in color! Fun and camaraderie marked the 2016 event. Check out the slideshow, which begins with two of our officers and many of their compatriots coming together to pose after a successful race. The event raised money for the organization No Kid Hungry. Our inaugural 5K was the brainchild of member Erin Polich, who is featured in the first image of this slideshow. About 225 runners attended, and we raised money for the organization No Kid Hungry, fighting hunger among children in America.